Using a variety of forms and achieving a range of musical effects, Nate Klug's Anyone traces the unraveling of astonishment upon small scenes--natural and domestic, political and religious--across America's East and Midwest. The book's title foregrounds the anonymity it seeks through several means: first, through close observation (a concrete saw, a goshawk, a bicyclist); and, second, via translation (satires from Horace and Catullus, and excerpts from Virgil's Aeneid). Uniquely among contemporary poetry volumes, Anyone demonstrates fluency in the paradoxes of a religious existence: "To stand sometime / outside my faith . . . or keep waiting / to be claimed in it." 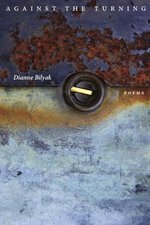 Engaged with theology and the classics but never abstruse, all the while the poems remain grounded in the phenomenal, physical world of "what it is to feel: / moods, half moods, / swarming, then darting loose." Create a Culture of Belonging! Strong cultures help people support one another, share their passions, and achieve big goals. And such cultures of belonging aren't just happy accidents - they can be purposefully cultivated, whether they're in a company, a faith institution or among friends and enthusiasts. Drawing on 3,000 years of history and his personal experience, Charles Vogl lays out seven time-tested principles for growing enduring, effective and connected communities. He provides hands-on tools for creatively adapting these principles to any group--formal or informal, mission driven or social, physical or virtual. This book is a guide for leaders seeking to build a vibrant, living culture that will enrich lives. Winner of the Nautilus Silver Book Award in the Business and Leadership Category. In Becoming Wise, Krista Tippett has created a master class in living for a fractured world. Fracture, she says, is not the whole story of our time. The enduring question of what it means to be human has become inextricable from the challenge of who we are to one another. She insists on the possibility of personal depth and common life for this century, nurtured by science and -spiritual technologies, - with civility and love as muscular public practice. And, accompanied by a cross-disciplinary dream team of a teaching faculty, she shows us how. This book encourages those in ministry to take time to seek spiritual nourishment. From the first Christian experience to mature topics, it offers opportunities for intimate reflection on eternal matters. As a church leader, it's easy to make the wrong move and find yourself in a bad position. "What to teach; How to teach; What to do," were the three questions Wesley employed at his first conferences. 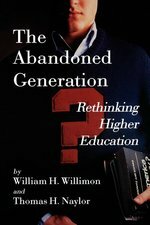 In sixty previous books Will Willimon has worked the first two. This book is of the "What to do?" genre. Many believe the long decline of The United Methodist Church is a crisis of effective leadership. Willimon takes this problem on. As an improbable bishop, for the last eight years he has laid hands on heads, made ordinands promise to go where he sends them, overseen their ministries, and acted as if this were normal. Here is his account of what he has learned and - more important - what The United Methodist Church must do to have a future as a viable movement of the Holy Spirit. Four unlikely teenagers are summoned by a mysterious stranger to save another world being destroyed by evil. Elli Adams and her friends Beatriz, Jamie, and Alex must overcome their own personal challenges of blindness, self-confidence, and Down syndrome as they struggle to fulfill their mysterious calling as Bairnmoor's last prophetic hope. Join them as they adventure through singing forests and stardust valleys full of mystical, glorious, and ferocious creatures, all of which test their resolve in the face of overwhelming adversity. Eckblad's novel wrestles with the age-old questions of Good and Evil and the nature of the heroic life, even as it provides a fresh perspective on how we can have faith in the Good against every indication that Evil is prevailing -- and how each of us can be immensely more than we seem to be. 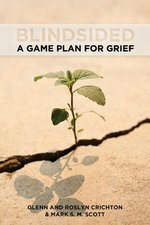 Blindsided: A Game Plan for Grief guides the reader through the emotional, physical, and spiritual complexities of the grieving process. Drawing from their personal experiences of loss and their practical and theoretical backgrounds, the authors discuss common misconceptions about grief and suggest helpful coping strategies. They adopt a creative and unique entry point into the conversation: sports. They transpose key concepts from the familiar world of sports to the unfamiliar world of grief, so that injury, loss, teamwork, communication, presence, legacy, celebration, and other principles from sports become guideposts to help you navigate your own unique grief journey. Set in the South Carolina foothills of the Blue Ridge Mountains in the late summer of 1970, Blood Kin tells the story of the Burden family and the community of outcasts that surrounds them. James Burden is the eldest son in the Burden family. A Korean War veteran and former prisoner-of-war, he struggles with inner demons and drug addiction. He has returned home after almost two decades of absence to find his family members consumed with struggles all their own. His former wife is haunted by her thoughts of an unborn child. His brothers, both Vietnam veterans, are troubled by their experiences there. Roy Burden returned a hero, while Enis Burden saw no combat at all. The younger brothers are also dealing with troubles with love and the hopes of starting their own families. James s father is himself disturbed by his memories of his own father s dark deeds and death. And James s mother is plagued by worry for her husband and sons. The Burdens face their struggles within a community of misfits, including a reluctant sheriff, a runaway thief, a forgotten fire-talker, a religious con man and his actress girlfriend, a local apple baron, and a failed prophet. All of them are living on the fringes of a rural South racing toward a middle-class modernity that has little use for any of them. 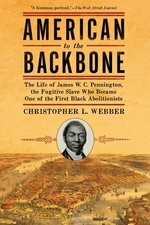 Blood Kin was awarded the 2005 Peter Taylor Prize for the Novel, an award named for one of the South s most celebrated writers. The annual prize, co-sponsored by the Knoxville Writers Guild and the University of Tennessee Press, endeavors to bring to light novels of high literary quality, thereby honoring Peter Taylor s own practice of assisting writers who care about the craft of fiction." "Can preaching recover a Blues sensibility and dare speak with authority in the midst of tragedy? America is living stormy Monday, but the pulpit is preaching happy Sunday. 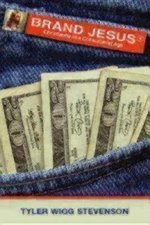 The world is experiencing the Blues, and pulpiteers are dispensing excessive doses of non-prescribed prosaic sermons with severe ecclesiastical and theological side effects." Uniquely gifted preacher Otis Moss III helps preachers effectively communicate hope in a desperate and difficult world in this new work based on his 2014 Yale Lyman Beecher Lectures. Moss challenges preachers to preach with a "Blue Note sensibility," which speaks directly to the tragedies faced by their congregants without falling into despair. He then offers four powerful sermons that illustrate his Blue Note preaching style. In them, Moss beautifully and passionately brings to life biblical characters that speak to today's pressing issues, including race discrimination and police brutality, while maintaining a strong message of hope. Moss shows how preachers can teach their congregations to resist letting the darkness find its way into them and, instead, learn to dance in the dark. This fascinating and lively book provides the first comprehensive discussion of the production, circulation, and use of books in early Christianity. 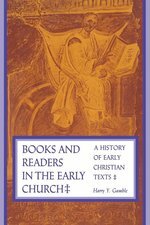 It explores the extent of literacy in early Christian communities; the relation in the early church between oral tradition and written materials; the physical form of early Christian books; how books were produced, transcribed, published, duplicated, and disseminated; how Christian libraries were formed; who read the books, in what circumstances, and to what purposes. Harry Y. Gamble interweaves practical and technological dimensions of the production and use of early Christian books with the social and institutional history of the period. Drawing on evidence from papyrology, codicology, textual criticism, and early church history, as well as on knowledge about the bibliographical practices that characterized Jewish and Greco-Roman culture, he offers a new perspective on the role of books in the first five centuries of the church. Description: How do we undergird Christian enthusiasm with Christian substance? Brief Christian Histories combines biblical and ecclesial history in a single volume, taking readers through 4000 years of our religion's history using four themes of interest: WHO has led us? HOW have we been guided ethically? 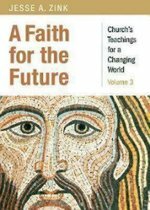 WHAT have been our faith practices and pieties? WHERE have we interacted with culture, and to what effect? Reading any one chapter will give readers a feel for the Christian narrative as a whole. 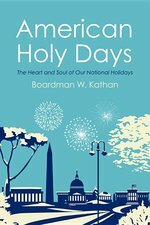 Reading two or more narratives will broaden readers' understanding of where we have come from--all to help understand this big religion of ours, deepen ourselves in it, and keep our faith fresh and moving forward. We move for God's New Order (basileia)--about which Jesus taught, for which he taught us to pray, and into which he invites our enthusiastic, substantive sojourning. Abortion. Homosexuality. Environmentalism. Evolution. Conservative positions on these topics are the current boundaries of mainstream Evangelical Christianity. But what if the theological arguments given by popular leaders on these "big four" were not quite as clear cut as they claim? Growing up as an evangelical Christian, Jonathan Dudley was taught that faith was defined by the total rejection of abortion, homosexuality, evolution, and environmentalism. But once he had begun studying biology and ethics, his views began to change and he soon realized that what he had been told about the Bible - and those four big issues - may have been misconstrued. 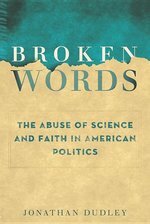 "Broken Words: The Abuse of Science and Faith in American Politics "assesses the scientific and cultural factors leading evangelicals to certain stances on each issue, shows where they went wrong, and critically challenges the scriptural, ethical, and biological arguments issued by those leaders today. In "Broken Words," Dudley applies the Bible and biology to challenge the fixed political dogmas of the religious right. Evangelicals are confronted for the first time from within their ranks on the extent to which faith has been corrupted by conservative politics, cultural prejudice and naive anti-intellectualism. 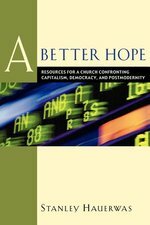 A re-ordering of American Christianity is underway - and this book is an essential part of the conversation.